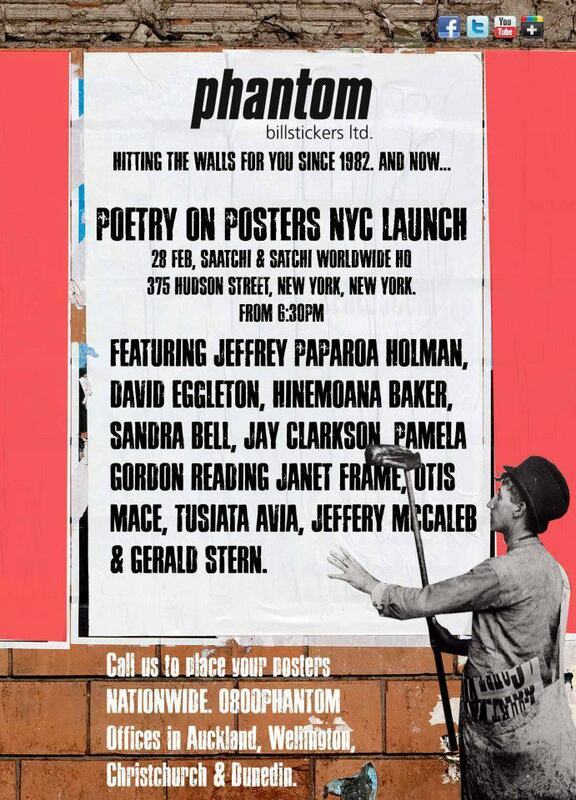 With support from Creative New Zealand and Saatchi and Saatchi, this trip is courtesy of Phantom Billstickers, Transatlantic poetry fanatics and street media moguls, and in particular Phantom founder Jim Wilson. Jim tells the story of the genesis of this project here. If, like I was, you are unsure where/what 'Manhattan' is, think 'a much taller version of Lambton Quay'. In 2010 I was lucky enough to make a fleeting visit to New York on my way back from Iowa University's International Writing Programme residency. This time we're going to get to stay a little longer - and I say we because my partner in life, crime, and occasionally music, rock-pop-sonic-arts-monster Christine White, will be joining me. If any of you Dear Readers are in the vicinity, it would be *fantastic* to see you at either or both of these events. Many people have worked very hard for a very long time to make them possible, and we are keen to share the lurv. 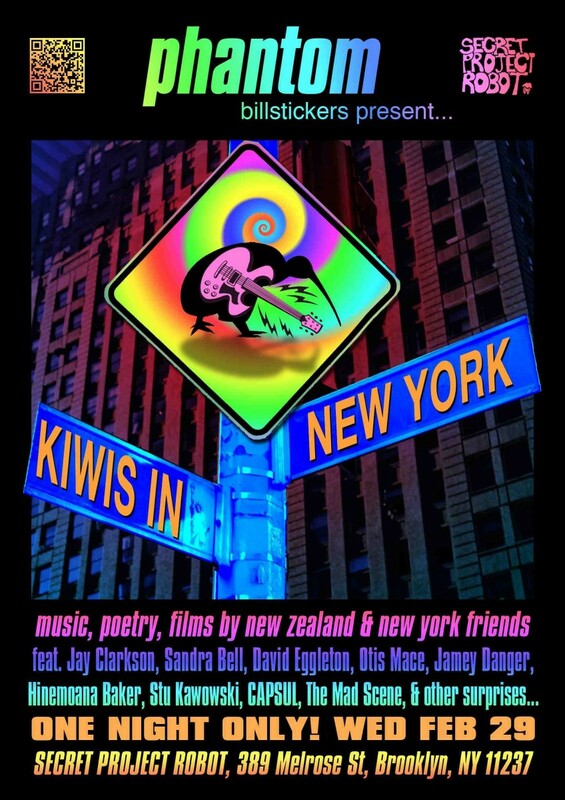 Tell your NYC friends and whānau the Kiwis are coming to town!